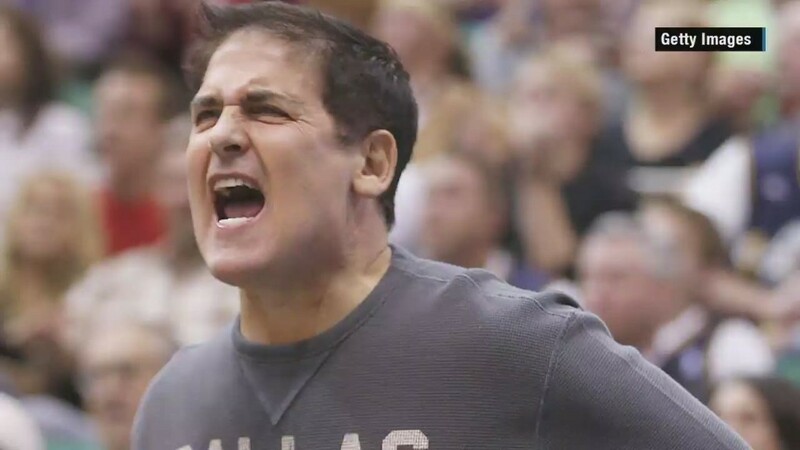 Mark Cuban may have confidence in his ability to win, but he told CNNMoney he has no plans to run for the U.S. presidency. The billionaire businessman also said in an email Monday that either he -- or his longtime political favorite Michael Bloomberg -- could "crush the Republican nominee." He believes he could also trounce Democratic frontrunner Hillary Clinton. "I think the conformity the Republicans require of candidates on social issues will make it far easier for any [Democratic] nominee not named Hillary," Cuban wrote. "I think she has lost her shot." Cuban first traded emails about running for president with CNBC, the network that airs his Shark Tank reality show, saying it's "a fun idea to toss around." But in a note to CNNMoney he said, "I have no interest in running," to clear up any confusion about his intentions. Cuban has previously disavowed any plans to run for the nation's highest office. When asked if he would consider a presidential bid on CNN's Crossfire last year, his response was: "Hell f***ing no." But that was before Trump entered the race, and he has undoubtedly blazed a trail for the likes of Cuban to consider a bid for office. Trump is still leading his Republican opponents by double digits. That's despite being a rare breed in politics as someone with extreme wealth, little experience, and a knack for confrontation. "There is no question the game has changed and Donald has a much stronger command of it than the rest of the candidates," Cuban told CNBC. Cuban has praised Trump's campaign style in the past, calling him "the best thing to happen to politics in a long, long time" back in July. He also wished Trump well at his campaign rally Monday night, which is taking place at the American Airlines Center -- home to the Cuban-owned Dallas Mavericks. @realDonaldTrump have a great event tonight @AACenter. The buzz in Dallas is amazing. You will crush it ! Cuban told CNBC that he'd like to try to simplify the tax code, address income inequality, college debt and fix stock exchanges that "investors are ceding control of [to] market hackers"
He told CNNMoney he was referring to computer-automated trading, which executes transactions faster than humans can. It's a common tool for short sellers, who bet that a stock will lose value. Cuban said the practice is huge problem. "They don't invest in stocks. They don't own stocks for a second," Cuban said. "They look for mistakes made by traditional investors." He also mentioned cybersecurity -- something Cuban is known to be concerned with, particularly after his emails were included in a massive hack at Sony Pictures last December. He's even created his own secure messaging app: Cyber Dust.